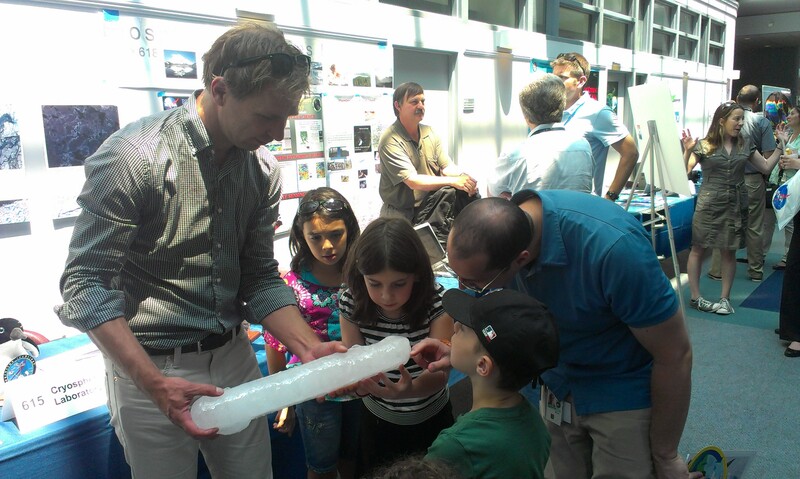 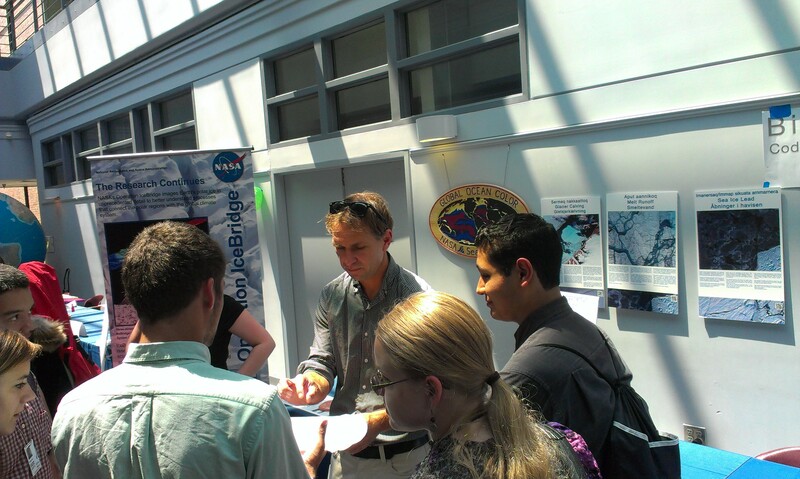 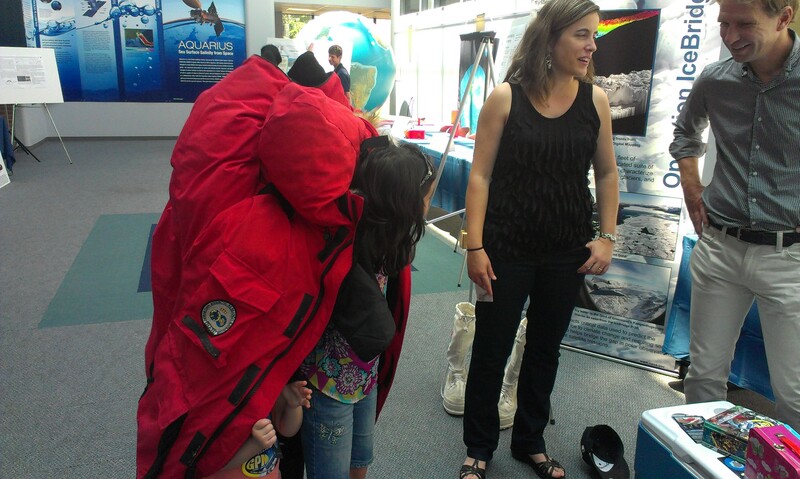 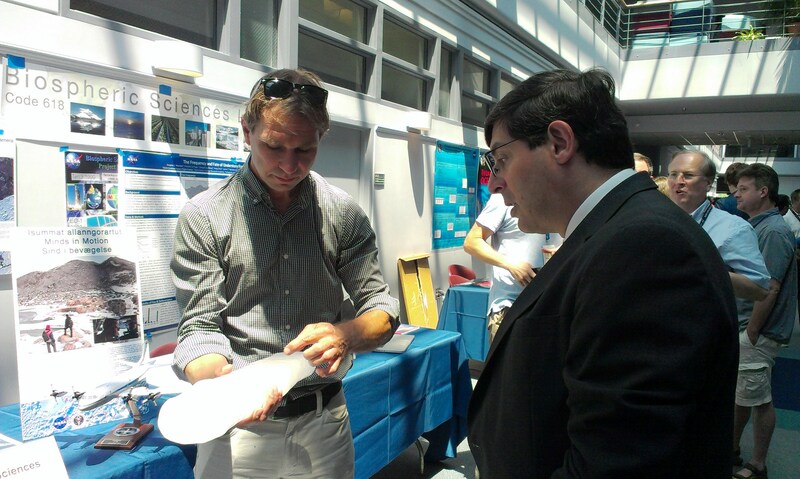 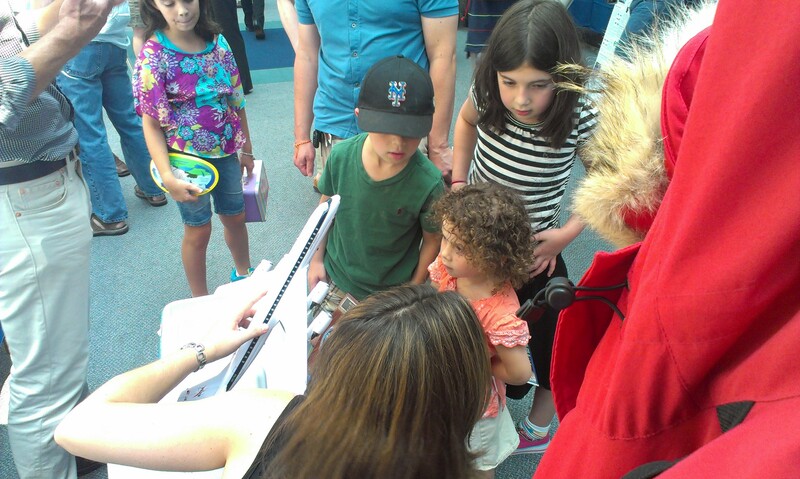 On July 16, researchers from the Cryospheric Sciences Laboratory took part in this year’s Science Jamboree, part of a three-day employee engagement event at NASA’s Goddard Space Flight Center. Science Jamboree is a chance for Goddard employees to learn more about what scientists and engineers are doing in their labs and offices. 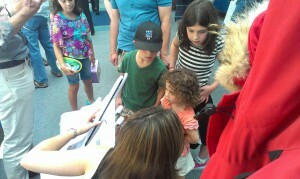 The event features tables, posters and activities for the various missions and labs working at Goddard. 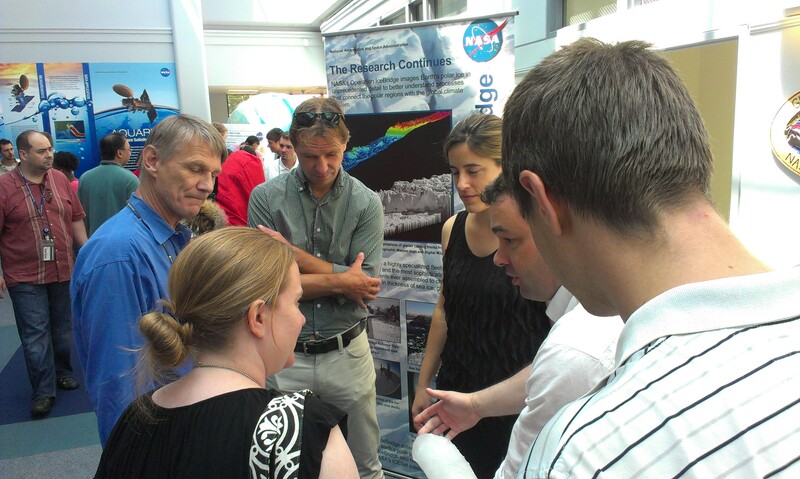 The lab’s table this year featured informational material from Operation IceBridge such as models of the NASA DC-8 and P-3B, hands on materials like extreme cold weather gear and a sample of an ice core from Greenland and posters showing off the lab’s research with messages in English, Danish and Greenlandic that were created through a collaboration between NASA, the U.S. Embassy in Copenhagen and the governments of Greenland and Denmark.